Keeping pace with the cost and complexity of securing today's new strategic technologies is a challenge faced by enterprises large and small. With the consumerization of IT, the explosion of Web 2.0 and social media applications, the proliferation of data and the acceleration of the mobile workplace, these challenges only increase. At the same time, cloud computing is rapidly transforming the IT landscape. Enterprise applications, infrastructure and platforms are all migrating into the cloud - and being offered as a service by a host of cloud vendors. What's more, cost-heavy IT capital expenditures, point products and system maintenance are giving way to services that can be turned on or off, on-demand. The ability for these services to scale quickly and elastically to keep up with evolving business needs - while offering advanced protection and affordable subscription-based pricing - further enhances their appeal. 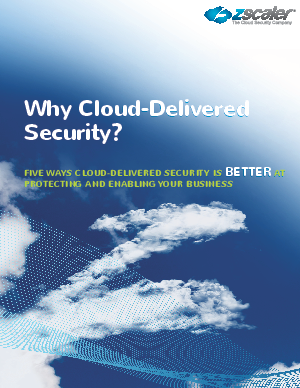 This whitepaper outlines seven key benefits of cloud-based security for enterprises.